Steve Jobs was the CEO of Apple Computer and of Pixar Animation Studios, in 2005 launched video iPod, which was another revolution in the industry then. But could anyone imagine that all these feats are performed by a man who dropped out of College? In his 2005 Commencement address delivered at Stanford University, he told his own story which shown quite clearly that there is no limit to how far a man with vision can go no matter the odds. Below is a prepared text of the Commencement address delivered by Steve Jobs, CEO of Apple Computer and of Pixar Animation Studios, on June 12, 2005. And 17 years later I did go to college. But I naively chose a college that was almost as expensive as Stanford, and all of my working-class parents’ savings were being spent on my college tuition. After six months, I couldn't see the value in it. I had no idea what I wanted to do with my life and no idea how college was going to help me figure it out. And here I was spending all of the money my parents had saved their entire life. So I decided to drop out and trust that it would all work out OK. It was pretty scary at the time, but looking back it was one of the best decisions I ever made. The minute I dropped out I could stop taking the required classes that didn’t interest me, and begin dropping in on the ones that looked interesting. None of this had even a hope of any practical application in my life. But 10 years later, when we were designing the first Macintosh computer, it all came back to me. And we designed it all into the Mac. It was the first computer with beautiful typography. If I had never dropped in on that single course in college, the Mac would have never had multiple typefaces or proportionally spaced fonts. And since Windows just copied the Mac, it’s likely that no personal computer would have them. If I had never dropped out, I would have never dropped in on this calligraphy class, and personal computers might not have the wonderful typography that they do. Of course it was impossible to connect the dots looking forward when I was in college. But it was very, very clear looking backward 10 years later. I was lucky — I found what I loved to do early in life. Woz and I started Apple in my parents’ garage when I was 20. We worked hard, and in 10 years Apple had grown from just the two of us in a garage into a $2 billion company with over 4,000 employees. We had just released our finest creation — the Macintosh — a year earlier, and I had just turned 30. And then I got fired. I’m pretty sure none of this would have happened if I hadn't been fired from Apple. It was awful tasting medicine, but I guess the patient needed it. Sometimes life hits you in the head with a brick. Don’t lose faith. I’m convinced that the only thing that kept me going was that I loved what I did. You've got to find what you love. And that is as true for your work as it is for your lovers. Your work is going to fill a large part of your life, and the only way to be truly satisfied is to do what you believe is great work. And the only way to do great work is to love what you do. If you haven’t found it yet, keep looking. Don’t settle. As with all matters of the heart, you’ll know when you find it. And, like any great relationship, it just gets better and better as the years roll on. So keep looking until you find it. Don’t settle. My doctor advised me to go home and get my affairs in order, which is doctor’s code for prepare to die. It means to try to tell your kids everything you thought you’d have the next 10 years to tell them in just a few months. It means to make sure everything is buttoned up so that it will be as easy as possible for your family. It means to say your goodbyes. Your time is limited, so don’t waste it living someone else’s life. Don’t be trapped by dogma — which is living with the results of other people’s thinking. Don’t let the noise of others’ opinions drown out your own inner voice, and most important, have the courage to follow your heart and intuition. They somehow already know what you truly want to become. Everything else is secondary. 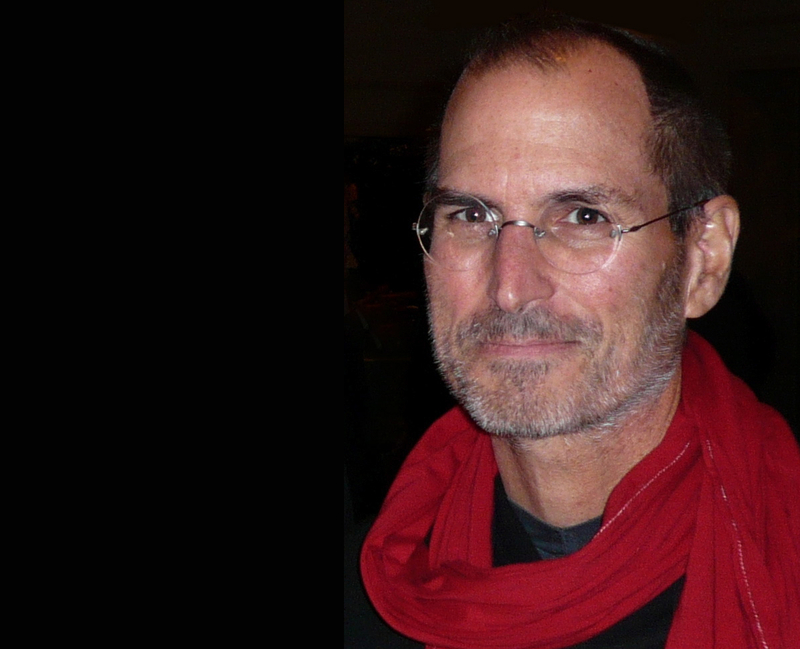 Jobs was an entrepreneur as we can see through his inventions and this stories, we all need to learn from him and always trust and belief in God and in ourselves. No odds that cannot be surpass. May we all discover our purpose and our talent on time so we too can impact our world positively. Remain focus as you take steps to rediscover yourself, comment below about this article and what you are doing to shape your life.